It’s Friday, 7.15pm, a beautiful and sunny afternoon. 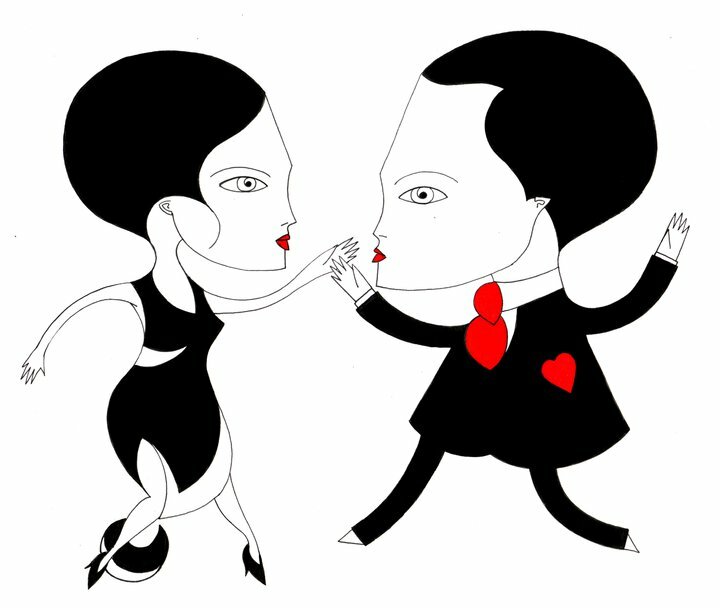 I have an appointment with the street artist Fred Le Chevalier in front of Le Canal Saint Martin in Paris. Wow, I’m nervous, I will interview him for my blog and also as a guest for a post on the Street Art Paris Organization. It’s not a secret that I am a big fan of his work. I already wrote two articles about him, I went to his first exhibition and I’m following everything that this so poetic street artist has been doing. I was there waiting for him with a friend of mine that was really lucky and bought the last piece available at the day of his first vernissage. 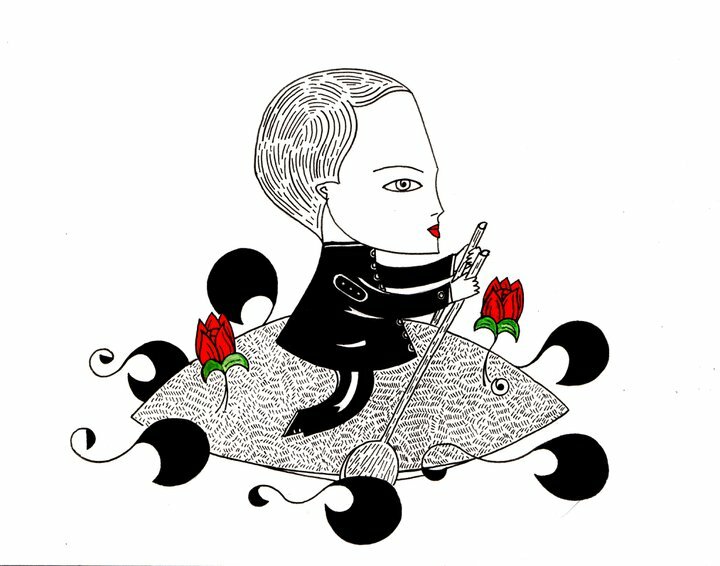 He arrived, dressed in black clothes and also with a suitcase filled of his work. 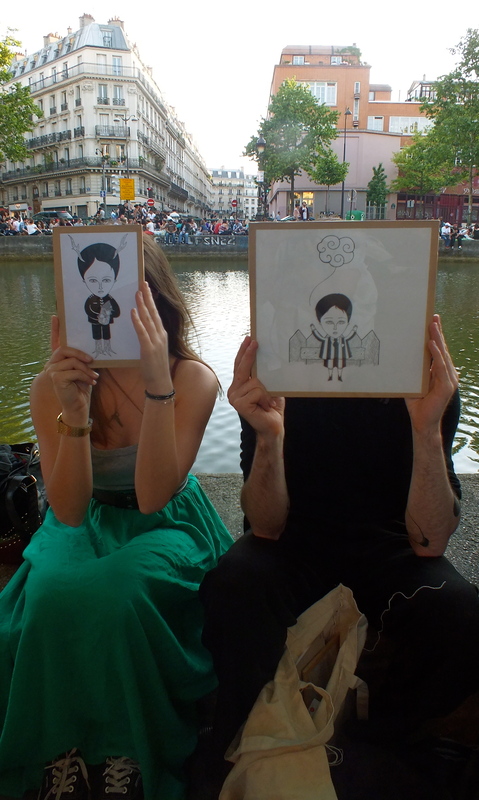 Fred Le Chevalier and My friend MInes at Canal Saint Martin. Now I will share with you the sweetest words from this Knight and his so true intentions with his art that inspired me and I am sure that inspire a lot of people in Paris and soon all over the world. 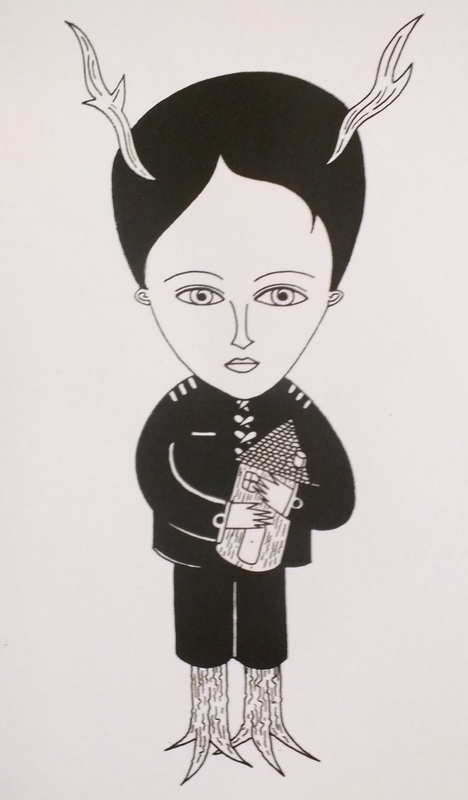 Fred Le Chevalier started to draw when he was a child and stopped as a teenager. Seven years ago, for our happiness, he started again. 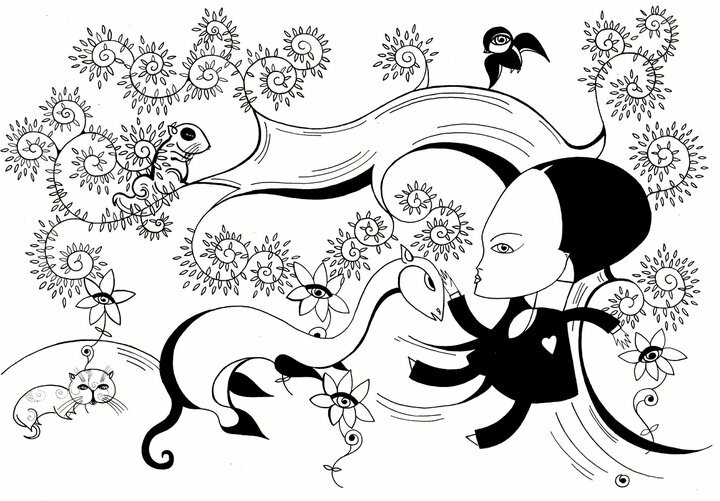 At the beginning, he used to upload his drawings on MySpace, also presenting them for people around who appreciate the work. With a positive feedback, three years ago he got the confidence to stick on the streets. “The first stick was for a woman that I used to love. It was a present for her. At that time, I didn’t realize that I could do it so often”, he said. When young, he found influence on the work of Ernest Pignon-Ernest and on the punk movement, that represented freedom to be and do whatever you want. 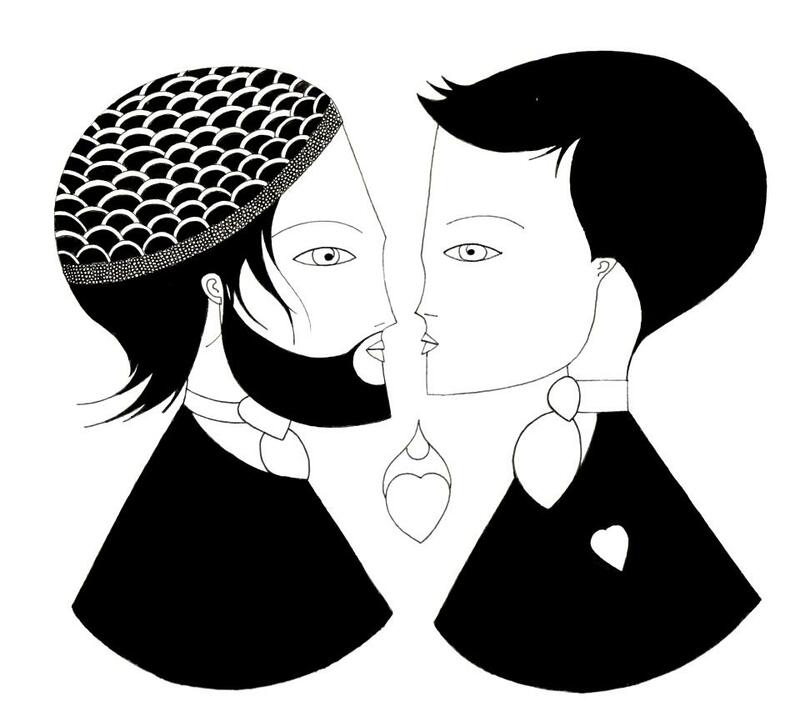 In love for literature as Alexandre Dumas and Don Quixote, he explained to me where the name Fred Le Chevalier comes from: “I used to take care of a young baby and I had to gave names for his family, so I chose one beautiful name for me, Fred Le Chevalier (Fred The Knight)”. As I already wrote here, in his first vernissage at Houla Ops Bar, he sold everything in less than one hour and after this success he was invited for some galleries to exhibit his work (check his agenda for 2012 at the end of this article). 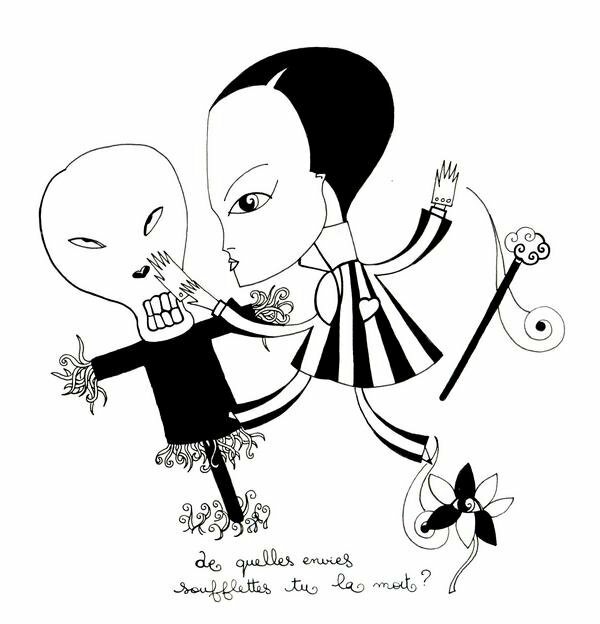 But talking with him about the issue Street art vs. Gallery was so beautiful to hear from him, his pure intention with his drawings: “I’m not a specialist about galleries, but I’m discovering this world now and I will have more exhibitions this year. I’m a little bit afraid of this world. I see a lot of people coming to me because they want to buy my art as a product, which I don’t consider very funny. I’m more interested to sell for a cheap price for someone that loves my work instead of selling for a big price to someone that wants to buy as an investment. When I draw, it’s the same thing for a street or for a gallery but the emotions are different. I really like the feeling of sticking my drawings on the street. A period that you like to be born: Tomorrow…maybe! 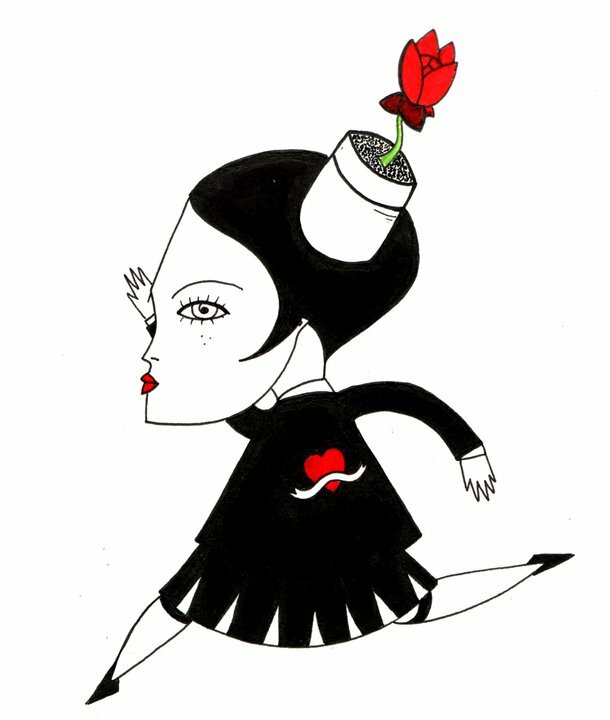 Below, some draws that Fred Le Chevalier did between 2011 and 2012. 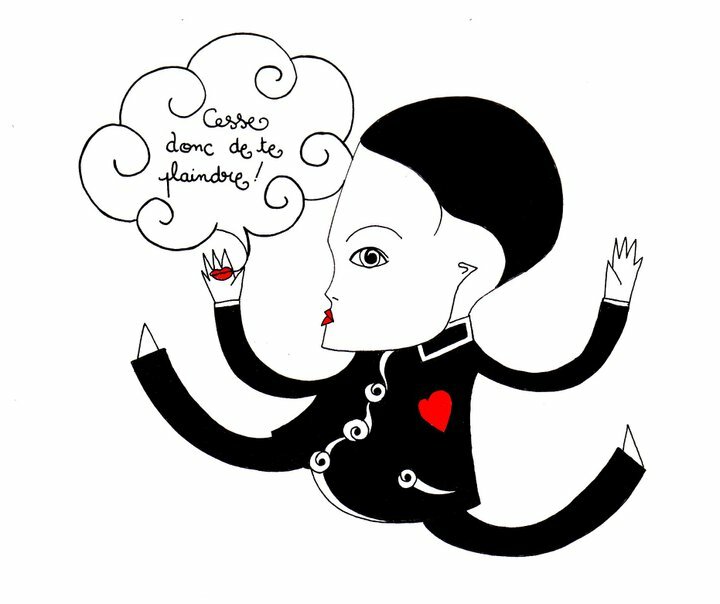 May 31 until June 24 – Collective exhibition at the gallery Cabinet d’ Amateur in Paris. July 4th - He will stick his characters in Aulnay-Sous-Bois during a cultural event near the “Canal” in Paris. August – Collective exhibition at the gallery Nivet Carzon in Paris. September – Solo exhibition at a gallery in the Marais Sometimes Studio in Paris. 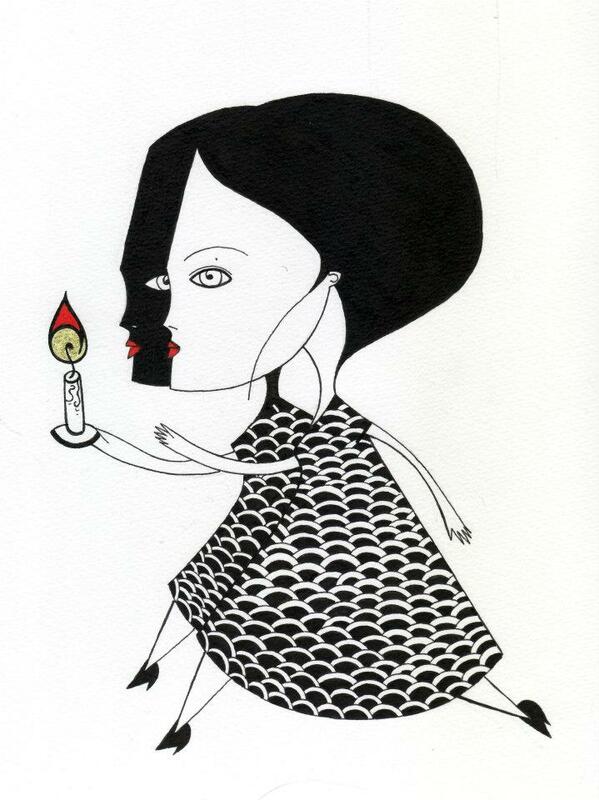 October – Exhibition in his town Angouleme, at the gallery Chez Cax.